Constantly varied, functional movements executed at high intensity. CrossFit is designed for everyone. It is scalable in all aspects making it the perfect fitness regime for any committed individual regardless of experience. All of our CrossFit workouts are based on functional movements, the core movements of life. We combine movements such as running, rowing, biking, jumping rope, weightlifting and many bodyweight exercises. We use barbells, dumbbells, kettlebells, gymnastics rings, pull-up bars, medicine balls, and boxes. These elements are mixed in numerous combinations to form our daily workouts. The classes are an hour long and typically include a warm-up, skill and strength development, conditioning and mobility. 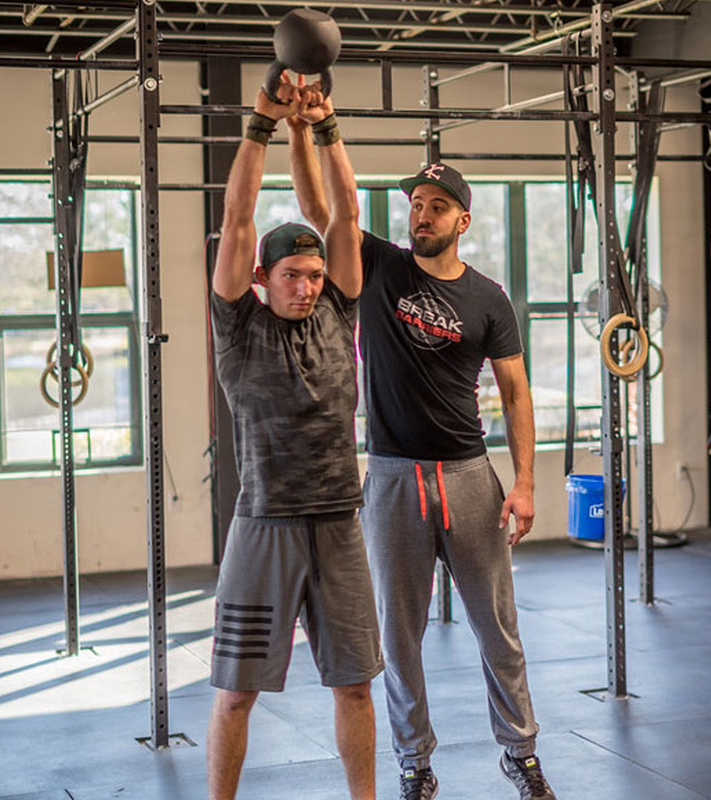 It doesn’t matter what brought you here: a devoted friend’s persistence, a coach or doctor’s recommendation, or maybe inspiration from the latest Reebok commercial…regardless, welcome to ASDC CrossFit! “Scalability” is a word that you will hear frequently here at ASDC CrossFit. During each class, everyone does the same workout, but that workout will always have several scaling options. This makes it possible for all of us – with our different body types, personal goals and levels of ability – to work alongside one another safely. We motivate one another, cheer one another on, and sometimes participate in some healthy competition. But, ultimately, every workout is yours alone. Your workout = your pace.